Adeptus Titanicus: Titandeath brings new formations and terrain rules to Adeptus Titanicus, along with rules for playing in a campaign, all of it framed around the battle for the Beta-Garmon system, one of the biggest and bloodiest battles in the Horus Heresy. As Imperial defenders square off with the forces of Horus, Warmaster and Arch-Traitor of Chaos, entire legions of Titans clash with firepower enough to level the gathered armies at their feet. To this end, Titandeath introduces a number of new Battleline Maniples, and today we’re looking at the Corsairs. 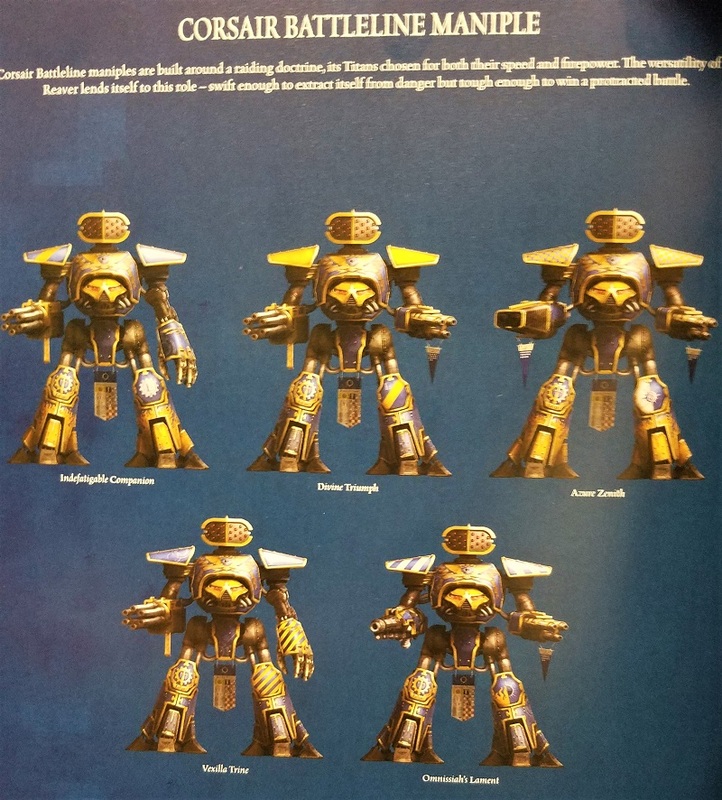 Made famous by the Legio Astorum (pictured above) a Corsair Maniple comprises three to five Reaver Titans, each of which packs a powerful punch on its own–but when combined into this formation, the Reavers lean more heavily on their maneuverability, enabling them to bring devastating weaponry to bear on unsuspecting foes. The Maniple Trait, Fighting Withdrawal, means you can move outside of your forward arc at normal speed rather than half-speed. So you can keep your facing the way you want it to be, and manage some surprising maneuvers. Advance up behind cover or an obscuring obstacle, then pop out to take down the enemy’s titans. Or move around an obstacle while still maintaining your facing. Or put the full distance of your movement between you and those Warhounds that managed to make it in close, and unleash the full might of your weapons while doing so. Three Reavers, by themselves, are a problem. But take five of them and you’ll really be able to specialize your loadouts and give them a purpose. Make some your heavy Titan Hunters, others skirmishers to help take down knights and Warhounds who have better mobility (but only just). 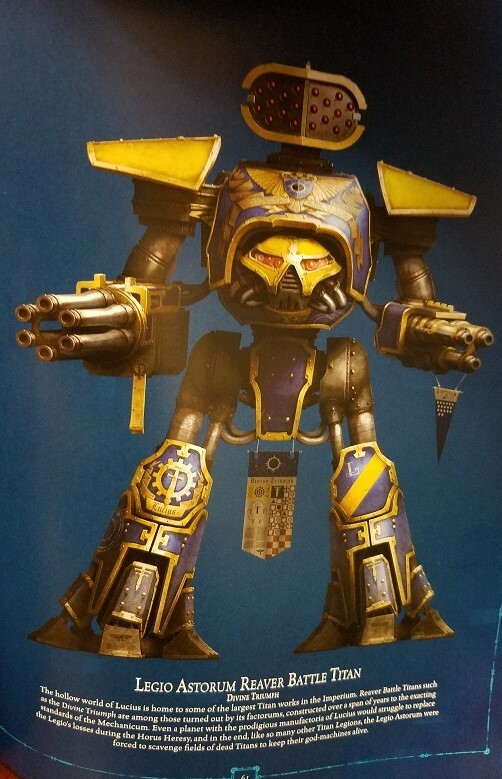 There you have it princeps, a powerful Maniple, ready to be deployed in Adeptus Titanicus. Be sure and let us know what you think of te maniple in the comments!